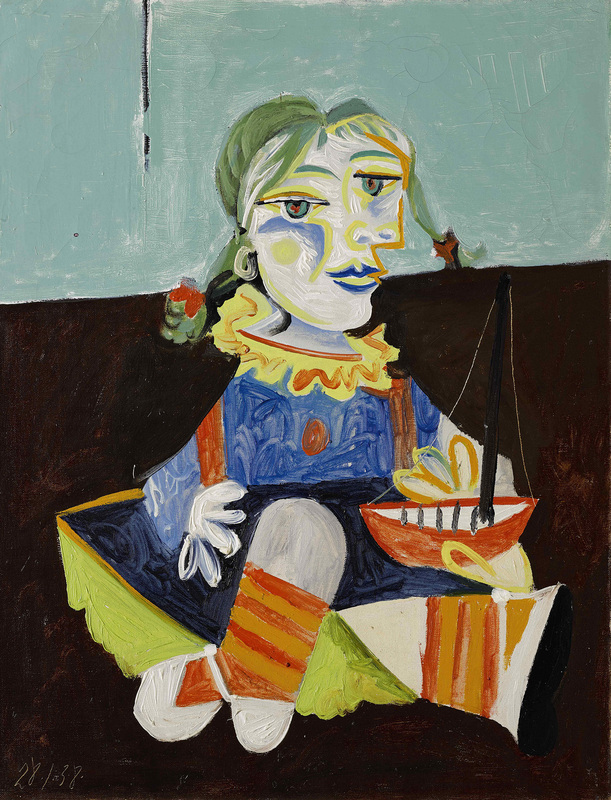 Pablo Picasso, Maya Au Bateau (Maya with the boat), 1938 © 2018 Estate of Pablo Picasso Artists Rights Society (ARS), New York. 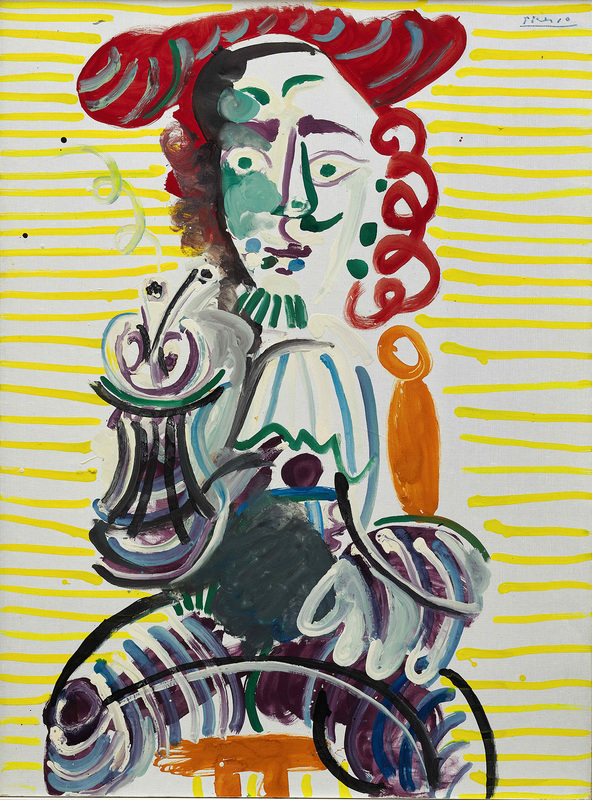 Pablo Picasso, L'homme à la pipe (Man with a Pipe), 1968© 2018 Estate of Pablo Picasso Artists Rights Society (ARS), New York. 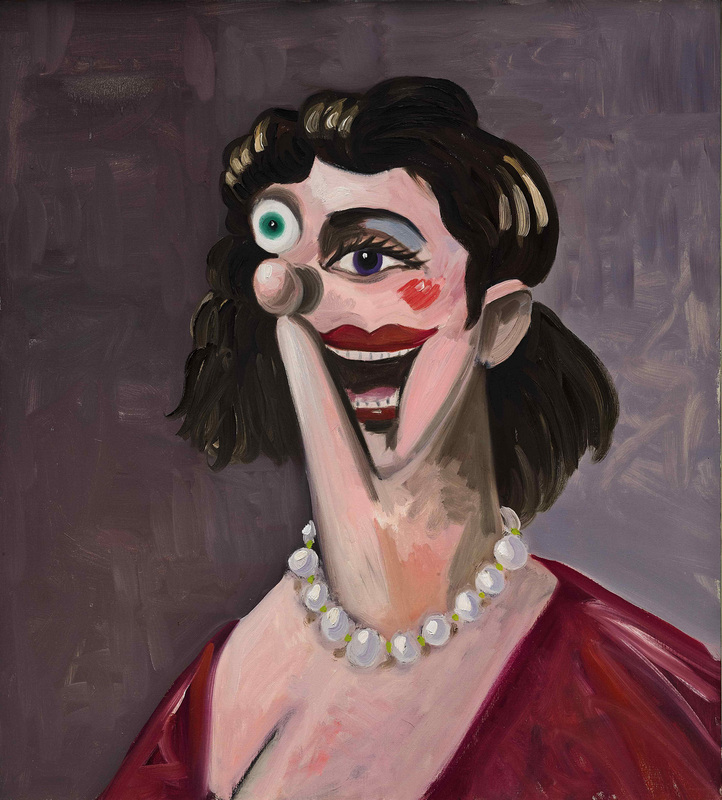 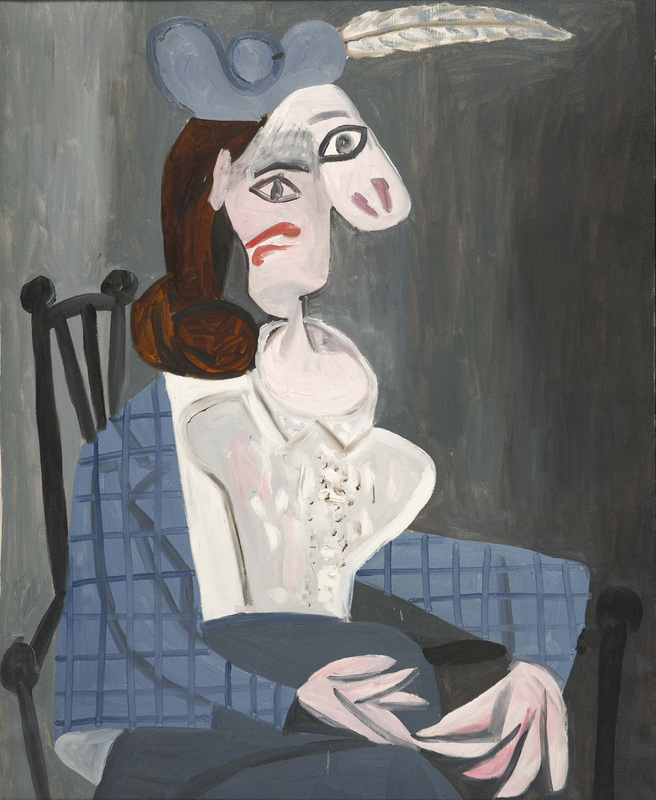 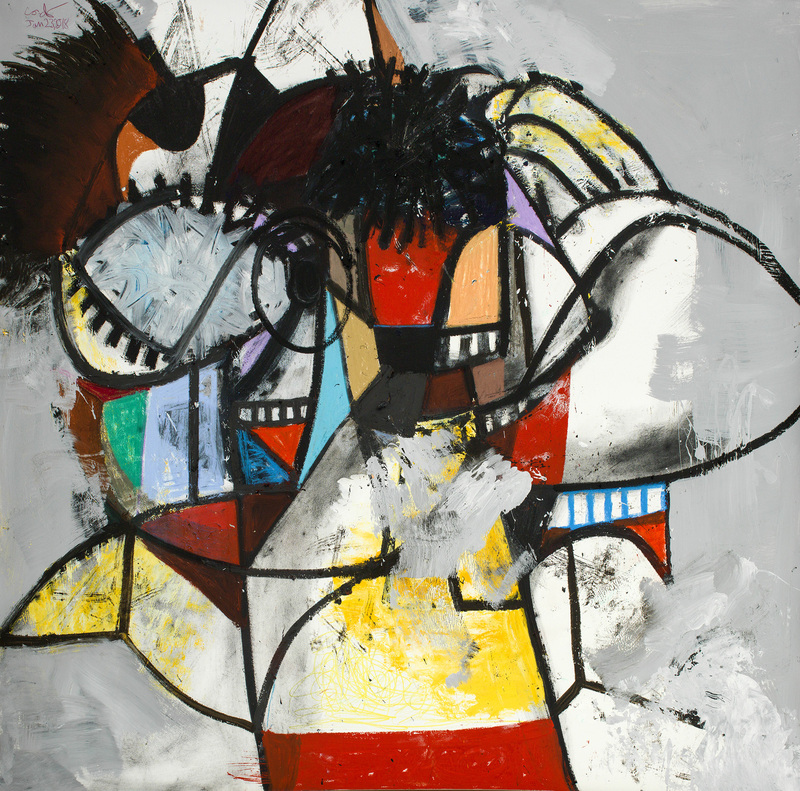 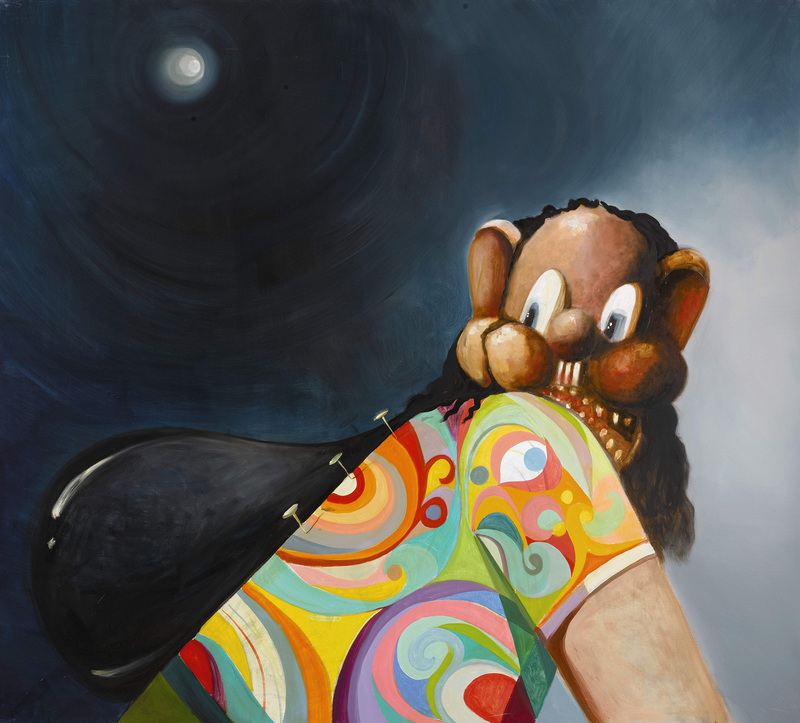 George Condo, The Escaped Hippie, 1934 © George Condo Artists Rights Society (ARS), New York.